First type: the machine can be used with corks of Ø of 25 mm up to 32 mm and of 50 mm max height. 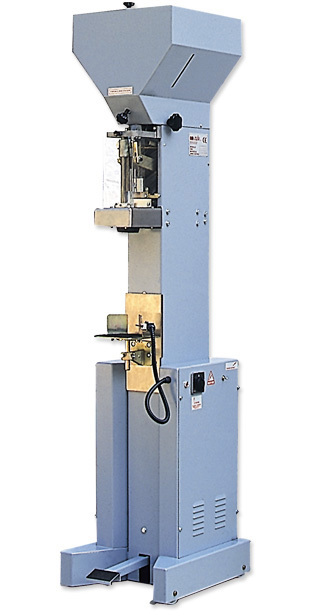 Second type: the machine can be used with corks of Ø of 22 mm up to 26, and of 50 mm max height. With pedal and plate double device. Possibility of corking bottles and flasks of any height, without any regulation, with automatic sensitive lock system to avoid any damage.